XM26-LSS (Light Shotgun System), by C-MORE SYSTEMS. 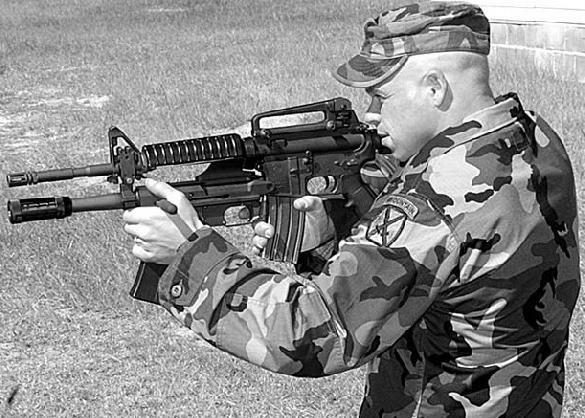 It is a slide-action, magazine-fed, 12-gauge shotgun system, the "21st Century MASTERKEY" to be integrated underbarrel on the M16/M4 rifles and carbines; some say it to be also compatible with the XM8-LAR system. The LSS (XM26 is its military nomenclature) is undergoing military trial tests to be adopted by the US Marine Corps, and it is also switchable to a stand-alone weapon, simply fitting it with a proprietary rifle stock system which includes a pistol grip and a telescopic buttstock.